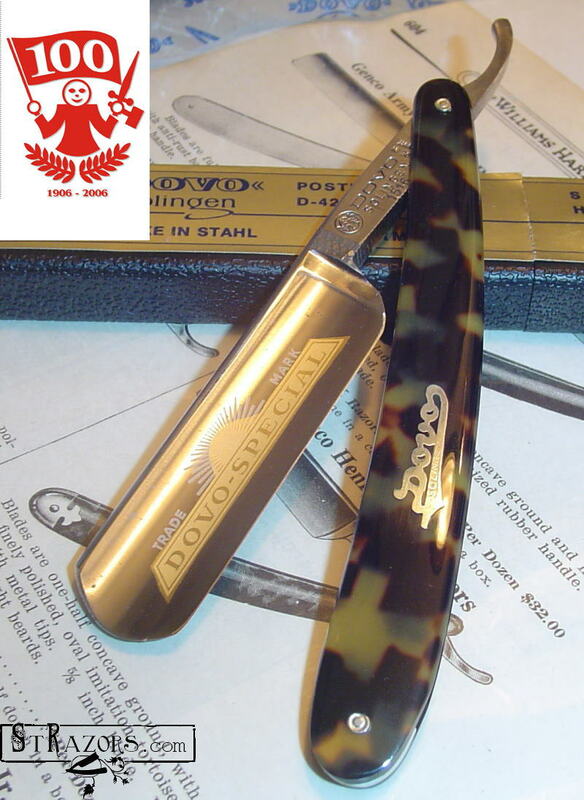 STRAZORS.com - all about classic razors - DOVO, Fritz Bracht, Solingen, Germany. DOVO, Fritz Bracht, Solingen, Germany. 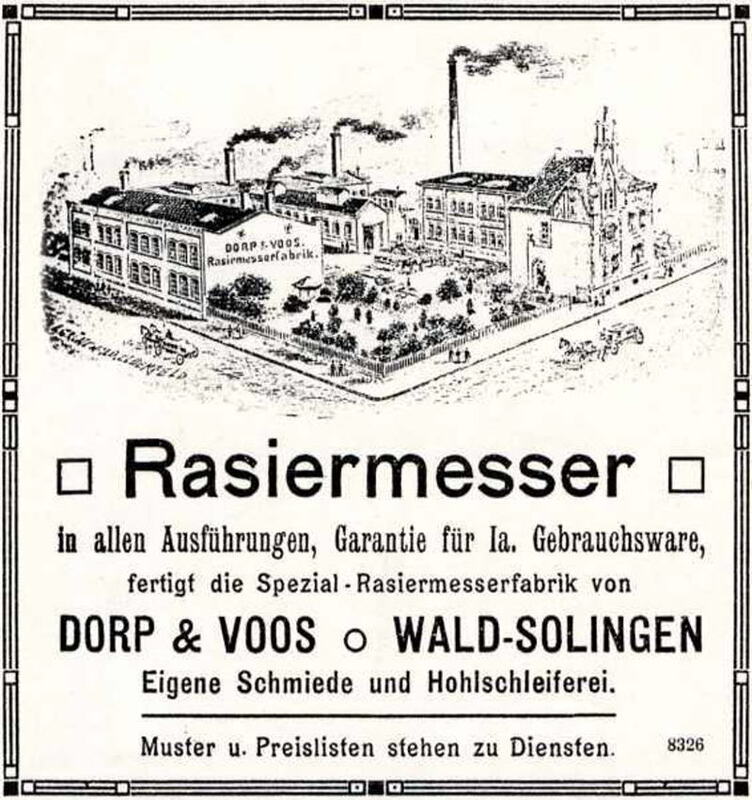 The company has been established on 1 November 1906 by Carl Dorp and Carl Arthur Voos. 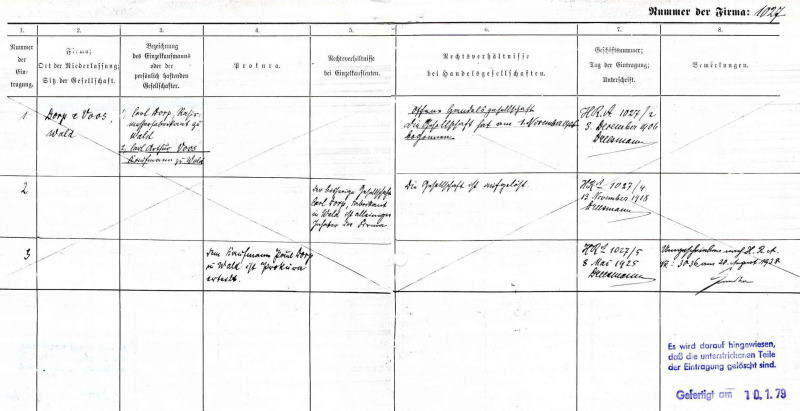 On 18th January 1939, obviously dissatisfied, Carl Dorp withdraws the business management from his son and makes a deal to sell the company to the trained straight razor grinder and manufacturer Fritz Bracht, the sole owner of the company Fritz Bracht Cutlery Products in Wald near Solingen. Fritz Bracht had already spent 20 years visiting retailers in Germany, Czechoslovakia, Hungary, Austria and Switzerland, selling the straight razors of his own brand (Bradrei). 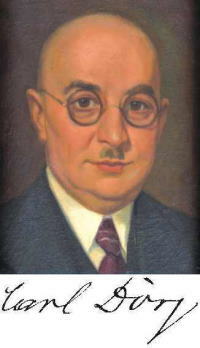 Fritz Bracht became an owner in 1940. On 16th August 1944 Carl Dorp dies. 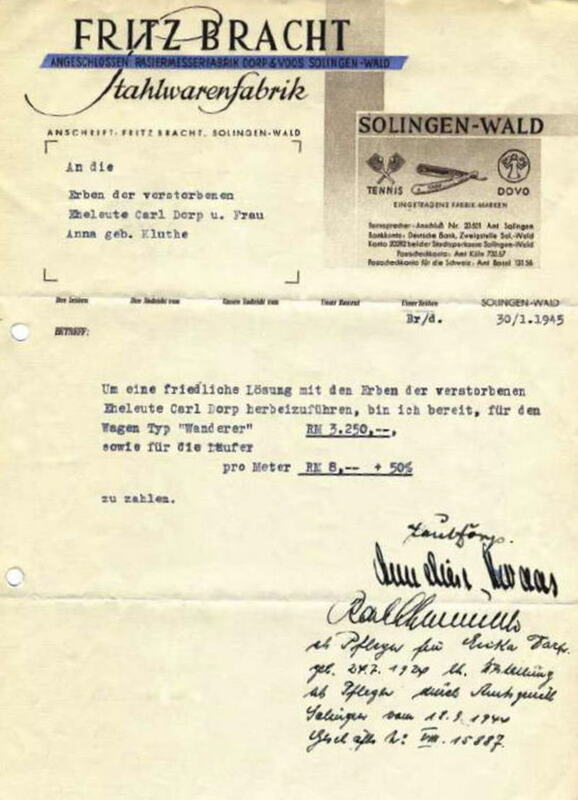 Fritz Bracht purchases the last piece of company property from Dorp's son Paul on 30th January 1945: a vehicle of the type "Wanderer". 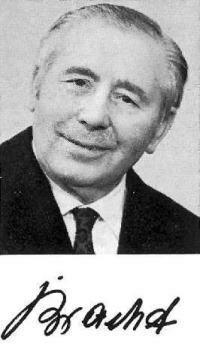 In 1953 his son-in-law Dr. jur. Ernst Kirschbaum joins the company. The need for an overhaul after the war and additional young manpower enable the company to grow successfully. 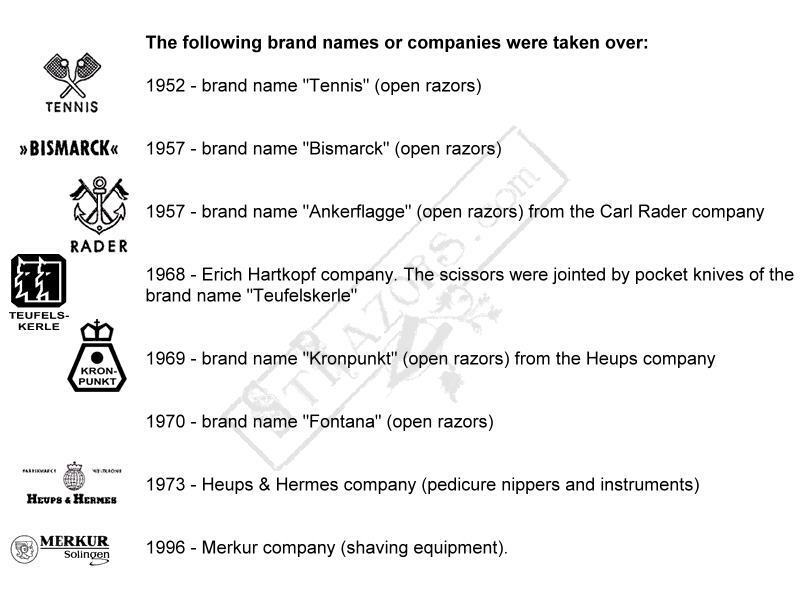 In addition to the scissor grindery and the manicure division, in 1960 Dr. Kirschbaum still registers a straight razor production division in four rooms (380 m2) and with 24 employees at the Solingen Chamber of Commerce. In the second half of Dorp & Voos' centennial, the Fritz Bracht company, operating under the name DOVO, expands the cutlery products range to include scissors, pocket knives, tweezers, manicure sets and razor supplies. 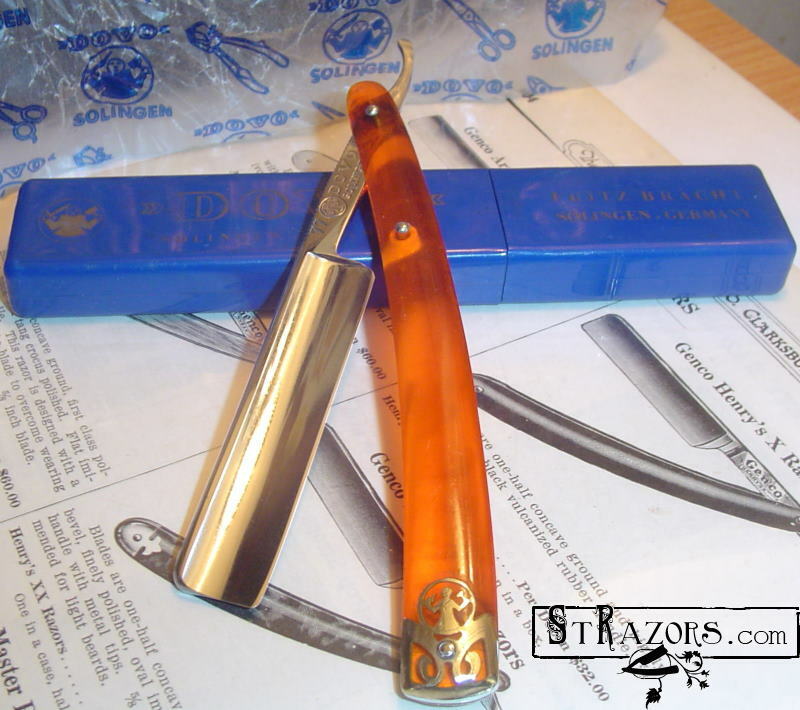 This razor was made before 1953. This razor was made in 2006.